During the year 2018, three STC employees celebrate their 30-year anniversary with the company. Design Engineer Les Vaughn marks his anniversary today, and it also offers a chance for him to reflect on some of the many memories of his time at STC. 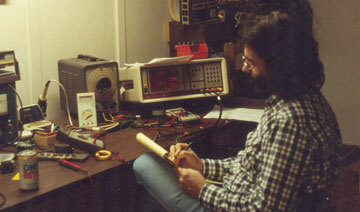 Vaughn works primarily in Magnetics and has designed several hundred transformers for STC customers. His transformer designs can be found in everything from large and small aircraft, broadcast towers, military equipment, medical devices, manufacturing machinery, common household appliances, and much more. When Les started at STC, his first role was in testing. Les was certainly qualified for that role, in both education and work experience. 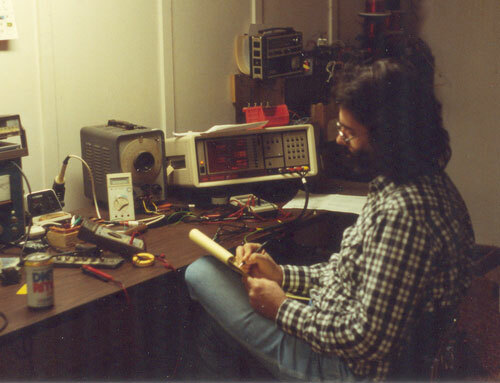 Prior to starting at STC, Les worked for about 12 years in broadcast engineering, and with a combination of electronics and mechanical work during a short stint at a printing press in Mt. Vernon, Illinois. “Some of my favorite types of magnetics projects are those for high-voltage transformers,” Vaughn says. “One project we did for a university was for a kind of high-voltage plasma application. Those projects are fun because you get a chance to be involved with cutting-edge technology—and, of course, you need to test those designs to see how big of an arc it will put out,” Vaughn adds with a laugh. STC President Brad Cross also appreciates Vaughn’s expertise. “Les is interested in technology, not only as a profession, but as an avocation or hobby, which is really beneficial.” Cross says. “He cares about his customers and finding the right solutions to fit their needs. Thanks for offering your expertise to those of us at STC and to our customers Les. Best wishes for the next 30 years!